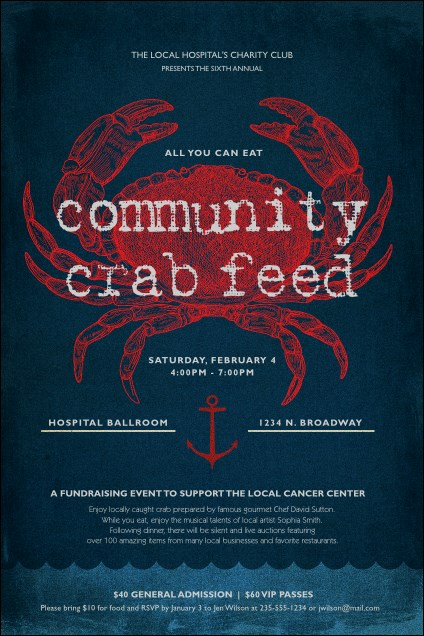 Get a grip on potential guests with the Crab Dinner Poster. This polished design features a massive, elaborately graphic ocean creature in a brilliant shade of red, joined by an anchor of the same color. The background mimics a calm, cyan sea until gentle waves break over a light blue field. Every naval nod helps to punctuate 16 lines of event info on this template. Catch the eye with posters from TicketPrinting.com!